Sea water as an ingredient, a glass chained to a wooden coaster, bubble tea serves and a lot of amazingly flavoursome drinks. 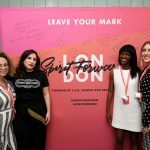 It’s London East, the next stop on the Chivas Masters UK journey. 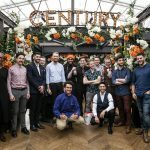 Who (competitors): Igor Beaulieu, Rocking Horse, Worthing; Andrea Benvegna, The Connaught, London; Peter Jarosz, World’s End Market, London; Luke Loddo, Plotting Parlour, Brighton; Tiago Mira, The Ritz, London, and Ernest Reid, Smith & Wollensky, London. Hawksmoor Spitalfields is a pretty special bar at the best of times, but as home to the second heat of The Chivas Masters Cocktail Competition it took on additional significance. The reason? 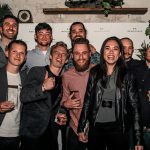 It’s the home of the current Chivas Masters Global Champion, Josh Reynolds and he would also be casting an experienced and critical eye over the bartenders’ creations. No pressure then. 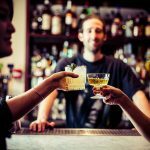 The competition challenges the bartenders to come up with three serves; The Classic Way, The Local Way and The Shanghai Way. 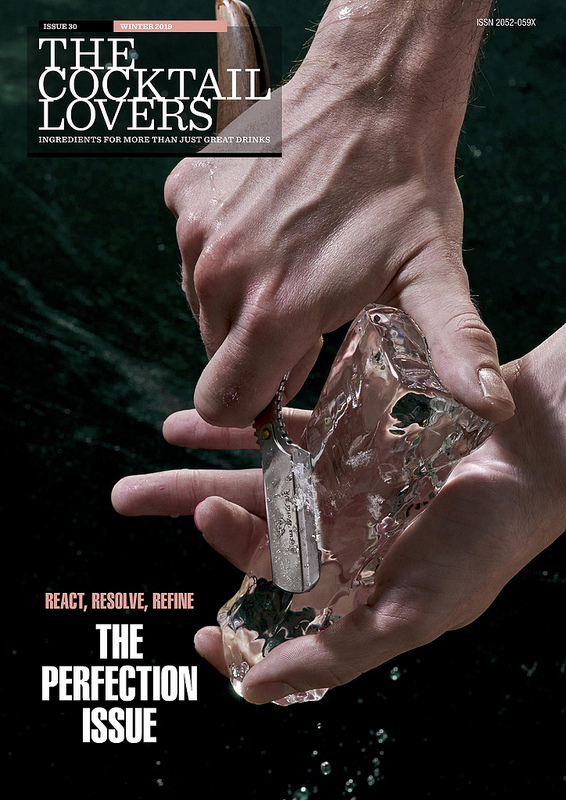 Yes, it’s a really tough challenge but it inspires the bartenders in all sorts of ways. Ernest Reid from Smith & Wollensky in London took Asian inspiration in flavours such as matcha green tea, as well as bubble tea, playfully serving his drink with a takeaway plastic lid and straws on top of a more traditional coupe. Luke Loddo from the Plotting Parlour in Brighton took local ingredients very literally in his cocktail by adding two dashes of sea water to the mix. The Dr Jekyll & Mr Chivas from Peter Jarosz of World’s End Market in London was based on a Rob Roy but by introducing chilli and smoke into the mix he felt he had created such a “powerful beast” of a drink it needed restraining. Hence securing the glass on a wooden block with chains. 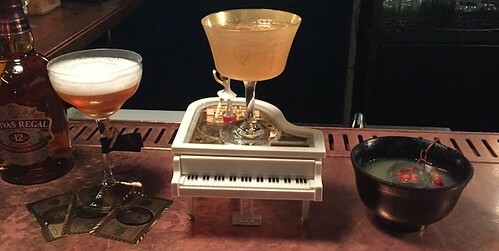 And Igor Beaulieu from the Rocking Horse in Worthing liked the idea of all three of his drinks forming a chivalrous group and so served them together as a complementary group in a Chivas suit case. 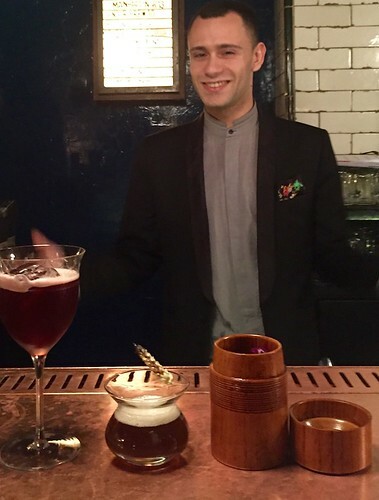 Tiago Mira from The Ritz London told some good stories and delivered great drinks in all three categories. 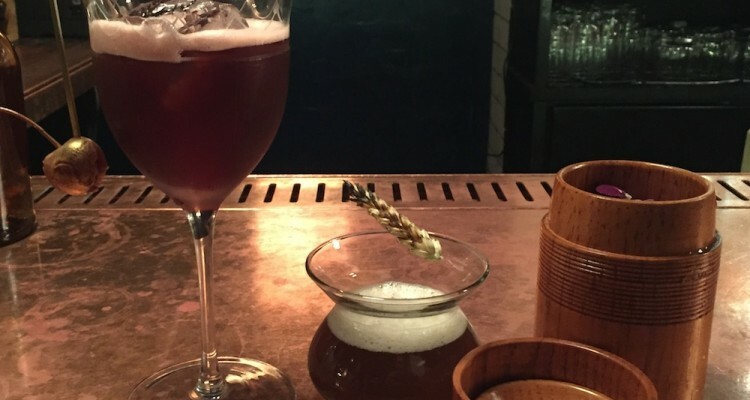 In particular his Fusion Garden for The Shanghai Way was felt to be an exceptional drink. Although he didn’t quite claim the top spot the judges were so impressed by his overall presentation he’s now crossing his fingers that he’ll make the final via the Wild Card list (this is an extra chance for bartenders who made exceptional presentations but didn’t come out on top in their heat). The top spot, however, went to Andrea Benvegna from The Connaught in London. Across the board he produced three outstanding drinks. They looked particularly good, like the Rob In The Hood elegantly garnished with a cherry sprayed with edible gold. Ingredients too were intelligently combined such as the lager syrup, with barley tea and walnut bitters for his Honey Bee Punch. And they were downright delicious – the Umami cocktail taking oolong milk tea, soy sauce, aloe vera juice and rice vinegar and sensitively combining them to perfectly balanced effect with the Chivas 12 Year Old. “The standard was amazing today. I saw a real involvement of Asian flavours in The Shanghai Way which is something that really excited me. Andrea is the winner for me because of his experimentation with his range of flavours, but still making Chivas shine in each and every drink.” Josh Reynolds, Chivas Masters Global Winner 2015. 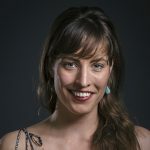 “There were many great flavour combinations and it was good to see a lot of really interesting homemade ingredients as well. 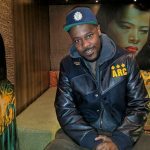 Andrea had it all in both style and substance, and his drink Rob In The Hood was one of the best twists on a classic that I’ve tasted in a long time.” Phil Huckle, Chivas Brand Ambassador. 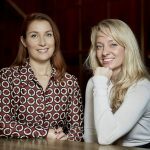 “For our part we were really impressed with how some very unusual ingredients worked beautifully in combination with the Chivas. We were also glad to keep Tiago in the mix as a possible Wild Card for the final. 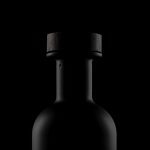 Andrea overall was not only super creative with his flavour ideas but balanced them to perfection, right down to just the right amount smoke in his Umami cocktail.” The Cocktail Lovers. 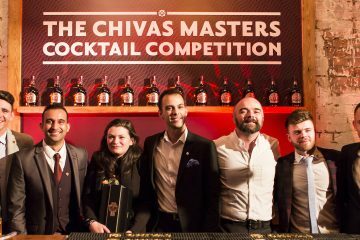 “Today I really understood why this competition is called The Chivas Masters – the drinks, the stories behind them, all the contestants showed amazing skills. Winning the heat has given me even more energy and inspiration for the final. It will be tough, but very stimulating and exciting. 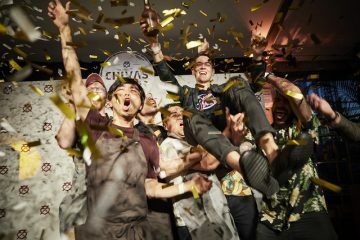 I’m really looking forward to it!” Andrea Benvegna, Chivas Masters London East heat winner. 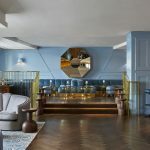 Punch Room at The Edition Hotel, 29 March. Shaken and strained over ice blocks. Vetiver spray and gold cherry garnish. Thrown and strained into a whisky tasting glass. Burnt wheat garnish. Stirred and strained over block ice in a Chinese tea cup. Edible flower and rosebud smoke garnish.